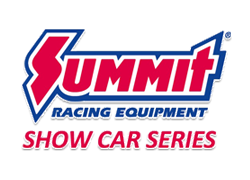 The International Show Car Association is the sanctioning body for the Summit Racing Equipment Show Car Series. It does not produce shows, but sets rules and regulations, governs the competition to ensure fairness and promotes growth of the sport. The Association’s members are not only exhibitors, but all types of automotive enthusiasts who enjoy car shows or just enjoy their cars. These individuals are the true backbone of the car show sport, and it is for them that the ISCA was established almost 50 years ago. The ISCA provides its exhibitor members with a direct means of expressing suggestions and concerns related to show functions, an opportunity to take an active part in show affairs, a means of sharing the increasing success of these events, and the latest information on show activities. Over the years, the show and classification rules in this manual have been refined to encompass every aspect of the auto show sport. Every effort has been made for these rules to be as clear, concise and fair as possible for the majority of exhibitors. The ISCA ensures that all producers conduct events within the rules established for the betterment of the sport. Starting with the 2009 ISCA Show Season, your show entry blank will serve as your membership application (Note: For a Detroit entry form, please visit mhraonline.org). Entry blanks can also be obtained through any ISCA Show Chairman or Producer.